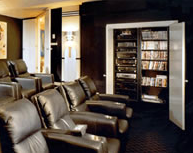 Audio Connection designs and installs high performance home theater entertainment systems, custom car audio systems, boat audio and visual systems, elaborate show vehicles, high performance daily drivers, amazing golf carts, and anything else you can dream up! Audio Connection has been in business since 1998 in Fort Myers, Florida with our employees having a combined experience of over forty years. We proudly have clients in Fort Myers, Cape Coral and Naples and everywhere in between. Don't see what you are looking for? Give us a call and our sales staff will help you find it! Explore the site, get some ideas, or present us with your own.. we can make it reality! 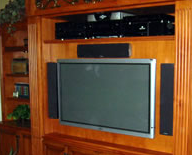 Let us show you why we why we're the #1 car, boat and home audio entertainment specialist in Ft. Myers, FL. 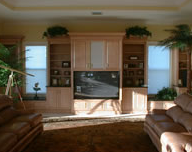 Audio Connection specializes in custom mobile electronics and installations. We can take the dreams you have for your car and make them a reality. The only limit to what can be done is your imagination! We carry high quality audio components from Pioneer, JL Audio, Focal, and more. We also do performance products and restyling accessories. Even if you are looking for a crazy paint job, some serious body work, or even a motor swap, we can help point you in the right direction. 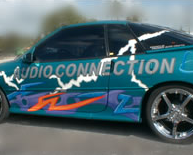 Audio Connection is your first stop for any modifications you are planning, from mild to wild! We have experience with all vehicles from exotics to vintage classics, RVs to tow trucks. Even todays most advanced vehicles are no match for our professional installers. We are qualified to work on BMW, Mercedes, Bentley, Rolls Royce, and even Ferrari and Lamborghini. Don't let the end of the road mean the end of your fun! We have done installs from basic to extreme on vehicles such as: 4x4s, Swamp Buggies, Golf Carts, Yachts, Center Console boats, Transport/Racing Trailers, and anything else you can think to do! ​Audio Connection can help you with all of your Marine Electronic needs! Whether it is a complete multi zone theater system for your yacht, a basic stereo for your center console, or just a handheld gps to keep you from getting lost in the mangroves, we can help you find the right equipment. You will be the envy at any beach party! We specialize in high end stereo systems for boats and yachts. Only the best audio components are used and the sound will blow you out of the water. Everybody at the beach will be in awe of the sound from your system. If you want hard slamming beats coming from your boat, then let us customize a boat stereo system that you will be proud of so you can be the life of the party. No more standing in long lines, shelling out loads of cash, hoping to get a decent seat - released blockbuster at the local theater... not when you've got your own theater, complete with high performance, commercial quality picture and sound, right in your own home! With today's latest technological advances in High Definition TV's, Dolby Digital and DTS surround sound to name a few, your personal theater experience will far surpass any Cineplex in town. Just imagine, having music and/or video in any room of your home, even outdoors by the pool or in the garden. From simple systems utilizing multi - room audio and video (shared sound in all rooms), to more elaborate multi - source systems that allow different "play" in different rooms simultaneously, Audio Connection will fit you to your entertainment and relaxation needs. If you are looking for a whole house system, or just a small surround system, or even a basic stereo receiver.. we can get it done right! Are you confused by all of the terms and acronyms in the home theater world? Don't despair! Our sales staff can help you understand what it all means, what is worth having, and what is best for your environment! The size and shape of your room, layout of your furniture, and placement of equipment all effects the way your theater will sound, as well as what equipment will work best. Our system designers can help you understand how and why.. that way you can make an educated decision on what you want, and you can be confident that you are getting the best price, quality, and service you can. Audio Connection wants to simplify, not complicate your life. We install easy - to - use control systems, tailored to your needs specifically - and we'll take the time to show you and everyone in your family how easy it is to use them. And we don't stop there... we can even combine several remote controls into ONE integrated touch screen panel. We can also program your system to perform a series of commands, based on your typical usage, all at the touch of a single button. It doesn't get any simpler than that!